The Wrath of God Is It Real? The Intersection of Crisis, Trauma. 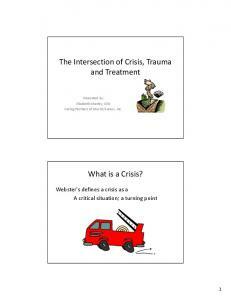 What is a Crisis? Subprime Auto Finance is Booming: What s Ahead! The Global Financial Crisis: Is It Unprecedented? 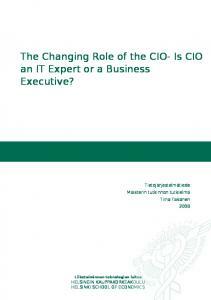 The Changing Role of the CIO- Is CIO an IT Expert or a Business Executive? IMF Working Paper Western Hemisphere Department Real Effects of the Subprime Mortgage Crisis: Is it a Demand or a Finance Shock? Prepared by Hui Tong and Shang-Jin Wei1 Authorized for distribution by Tamim Bayoumi July 2008 Abstract This Working Paper should not be reported as representing the views of the IMF. The views expressed in this Working Paper are those of the author(s) and do not necessarily represent those of the IMF or IMF policy. Working Papers describe research in progress by the author(s) and are published to elicit comments and to further debate. I. INTRODUCTION The subprime crisis that began in August 2007 has been called the worst financial crisis since the Great Depression by George Soros, Joseph Stiglitz, the International Monetary Fund, and other commentators.2 Furthermore, Soros thinks that the crisis may be affecting the real economy, though the extent of the effect is not yet fully known. In this paper, we study how the subprime crisis may spill over from the financial sector to the real economy. 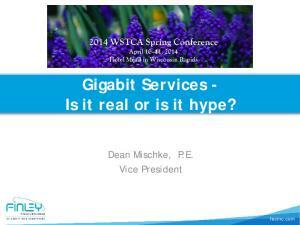 If there is a spillover, does it manifest itself primarily through reducing consumer demand and consumer confidence? Is there also a supply-side channel through tightened liquidity constraints faced by non-financial firms? Understanding these channels should help the design of an appropriate policy response. The view that the real economy may suffer from a credit crunch as a result of the subprime meltdown is far from self-evident. As Bates, Kahle, and Stulz (2007) carefully document, non-financial firms’ held an abundance of cash prior to the crisis. According to them, “the net debt ratio (debt minus cash, divided by assets) exhibits a sharp secular decrease and most of this decrease in net debt is explained by the increase in cash holdings. The fall in net debt is so dramatic that average net debt for U.S. firms is negative in 2004. In other words, on average, firms could have paid off their debt with their cash holdings.” Given the apparent secular downward trend in cash holdings, the net debt ratio was likely even more in the negative territory by mid-2007, right before the start of the full-blown subprime crisis in August 2007. This at least suggests the possibility of no serious liquidity tightening outside the financial sector. Probably out of this belief, Federal Reserve Chairman Ben S. Bernanke called strong corporate balance sheets “a bright spot in the darkening forecast”, during his testimony at the U.S. Congress on monetary policy on February 27, 2008. See http://www.thisismoney.co.uk/investing-and-markets/article.html?in_article_id=437212&in_page_id =3&ct=5; http://economictimes.indiatimes.com/International_Business/Financial_crisis_worst_since_1930s/ articleshow/2881608.cms; http://www.guardian.co.uk/business/2008/apr/10/useconomy.subprimecrisis. 6 sharp downturn immediately following the 9/11 attack. The sharply more pessimistic view of the U.S. economy lasted for at least six months. This suggests that the 9/11 shock, measured over a month’s period after the terrorist attack, reflects mostly a negative shock to consumer confidence, with virtually no liquidity element. To bolter our interpretation, we also run a regression of stock price declines during the first month after the 9/11 shock on the WhitedWu measure of liquidity constraints (using the end-of-2000 values of firm characteristics to ensure that the variable is pre-determined). Cross-firm differences in liquidity constraints turn out to be unimportant in explaining cross-firm differences in stock price declines during this period. This further suggests that the 9/11 index is not likely to be heavily contaminated by a liquidity constraint element. We now come to the validity of our key measure of firm-level liquidity constraint. As a robustness check, we replace the Whited-Wu index of liquidity constraint by an index of sector-level intrinsic dependence on external finance proposed by Rajan and Zingales (1998). This new index also has a negative and statistically significant coefficient: firms that are naturally more reliant on external finance suffer a greater fall in stock prices. As an extension, we can also combine the Whited-Wu (WW) index and the Rajan-Zingales (RZ) index in the same regression as they measure somewhat different things. We find that even among firms located in external-finance dependent sectors (according to the RZ index), those that are relatively more liquidity constrained (according to the WW index) experience a particularly big fall in stock prices. To ensure that our key regressors really pick up something unique to the subprime crisis period, we conduct a placebo test for the period of May 30, 2007–July 30, 2007. We verify by a search of an electronic news database that the subprime problem was not yet widely recognized as a crisis during this period. We regress a change in stock price on firmlevel liquidity constraint (as measured by the Whited-Wu index) and firm-level sensitivity to demand shock (as measured by our 9/11 index). It turns out that neither index is statistically significantly different from zero during this period. This suggests that prior to the outburst of the crisis in August, 2007 stock price movements were not systematically related to liquidity constraint or demand sensitivity (as forward-looking stock prices had already priced in any known liquidity and demand shocks as of then). Since the subprime crisis broke out in August, 2007, there are other changes in the economic environment. The most prominent factors are a dramatic depreciation of the U.S. dollar relative to the euro, the yen and other currencies, and a steady rise in the oil price and other commodity prices. If one believes in the validity of the Fama-French three-factor model, one could understand our exercise as asking whether an ex ante classification of firms in terms of their liquidity constraint and sensitivity of demand help to explain firms’ subsequent change in stock prices beyond what can be explained by the three factor model. This is a well-defined exercise by itself. In a sense, exposures to currency and commodity price movement should have been captured by the three factors (plus momentum) already. 7 Nonetheless, as an extension, we make an attempt to account for the role of exchange rate and commodity price movements in explaining stock price changes since August, 2007. As we don’t have systematic information on a breakdown of a firm’s revenue and cost by country/currency from any standard database, we have to develop an indirect approach to gauge a firm’s exposure to these currency and commodity price movement. We follow a three-step procedure. First, using weekly information during 2004–2006, we estimate a firm’s sensitivity to movement in major currencies and commodity prices using a regression framework. Second, we collect firm-level sensitivity coefficients to currency and commodity price movement from the previous regressions, and combine them with the actual movement in major exchange rates and commodity prices after August 2007 to form a measure of each firm’s realized exposure to these factors. Third, we add the firm-level exposure to these factors as additional control variables in our main regressions. Reassuringly, both liquidity constraint and demand sensitivity continue to have negative and statistically significant coefficients. In fact, the size of the point estimates is hardly affected by the addition of the exposure to currency and commodity price movement. At the same time, and equally reassuringly, we find that some of the exposures, especially the hike in energy price, do have a statistically significant effect on the stock prices of many firms. This slew of robustness checks reinforce our interpretation that both liquidity tightening and a loss of consumer confidence have negatively affected non-financial firms during the subprime crisis. Furthermore, in terms of relative stock price movement, a tighter liquidity constraint appears to be quantitatively a more significant channel. This paper is linked to the literature on credit crunch (for example, Bernanke and Lown, 1991; Borensztein, and Lee, 2002; Dell’Ariccia, Detragiache, and Rajan, 2008, among others). We differ from the earlier literature by considering demand sensitivity together with liquidity constraint. Our measures of liquidity constraint, especially the use of the WhitedWu index, are new. More notably, our measure of sensitivity to a demand shock is novel. This paper is also related to a small but growing literature on the origin and consequences of the subprime problem as a financial crisis, including recent work by Mian and Sufi (2008), Reinhart and Rogoff (2008), Dell’Ariccia, Igan and Laeven (2008), and Greenlaw et al. (2008). As of now, we have not come across a paper directly documenting and quantifying the mechanisms by which the subprime mortgage crisis spills over from the financial sector to the real economy. In this sense, this paper fills an important void. The paper proceeds as follows. Section 2 presents our key specification, construction of our key variables, and sources of data. Section 3 discusses the main empirical results and a slew of robustness checks and extensions. Section 4 offers concluding remarks. 8 II. SPECIFICATION AND KEY VARIABLES A. Basic specification Our basic empirical strategy is to check whether an ex ante classification of firms by their characteristics in terms of degree of liquidity constraint and sensitivity to a contraction of consumer demand shock prior to the subprime crisis help to predict the ex post magnitude of their stock price changes since August 2007. To be precise, our basic specification is given by the following specification. (2) Stockreturnit = α 0 + β1 DemandSensitivityi + β 2 FinancialConstrainti ,t −1 + γ 1Sizei ,t + γ 2 Market / Booki ,t −1 + γ 3 Betai ,t −1 + γ 4 Momemtumi ,t −1 + ε it We follow Whited and Wu (2006) and incorporate the four factors by entering the relevant firm characteristics directly in our regressions rather than entering them indirectly by going through a factor model first. As control variables, these two ways of incorporating the four factors should be equivalent. Entering firm characteristics directly in our regressions is easier to implement though the interpretation of the coefficients on these factors is a bit less straightforward. While subprime loans were sporadically reported as problematic in late 2006 and early 2007, it began to be widely recognized as a crisis in August 2007. We conduct a search of news articles that contain the words “subprime” and “crisis” in all newspapers in the United States, excluding pricing and market data and republished news, and report the results in Figure 2. There was a clear spike in such news in early August 2007. The International Monetary Fund, as quoted at the beginning of the paper, also clearly thought August 2007 as the starting date of a serious crisis. We therefore implement our main regressions for the period from early August, 2007 – end of March, 2008. We will also consider other sample periods as extensions or placebo tests. 11 does not perform well in selecting out firms that are made to be financially constrained by construction. In a sense, this is not surprising as Whited and Wu could be regarded as a generalization of the Kaplan-Zingales index, but with a better grounding in the theory and a more sound structural estimation from the data. As a result, we make the Whited-Wu index to be our primary measure of financial constraints. As a robustness check, we also employ an alternative measure due to Rajan and Zingales (1998). The RZ index gives a sector-level approximation for a firm’s intrinsic demand for external finance. Following Rajan and Zingales (1998), we define a firm’s intrinsic demand for external financing by: [capital expenditures - cash flow] (4) Dependence on external finance = , capital expenditures where Cash flow = cash flow from operations + decreases in inventories + decreases in receivables + increases in payables. All the numbers are based on U.S. firms, which are judged least likely to suffer from financing constraints relative to firms in other countries. The original Rajan and Zingales (1998) paper covers only 40 (mainly SIC 2-digit) sectors. Here, we expand the number of sectors to around four hundred 4-digit SIC sectors. Our measure of intrinsic demand for external financing could be useful for other researchers as well. To calculate the demand for external financing for U.S. firms, we take the following steps. First, every firm is sorted into one of the 4-digit SIC sectors. Second, we calculate the ratio of dependence for external finance for each firm from 1990–2006. Third, we calculate the sector-level median from firm ratios for each SIC 4-digit sector that contains at least 5 firms, the median value then is chosen to be the index of demand for external financing in that sector. Conceptually, the Rajan-Zingales (RZ) index measures something related to but not identical to the Whited-Wu index. The RZ index aims to identify sector-level features, i.e., which sectors are naturally more dependent on external financing for their business operation. It ignores the question of which firms within a sector are more liquidity constrained. What RZ index measures could be regarded as a “technical feature” of a sector, almost like a part of the production function. Of course, the RZ and WW should also be related: firms located in a sector that is naturally more dependent on external finance are also more likely to be liquidity constrained. Conversely, in a sector that does not need external finance, firms are less likely to be liquidity constrained. The simple correlation between the WW and RZ indices is 0.26. Demand Sensitivity Index A second key regressor is an index of a firm’s sensitivity to a contraction in consumer demand. There are no existing measures in the literature, so we have to invent one. 15 stocks that are relatively not liquidity constrained but highly sensitive to consumer confidence; and finally, the LL portfolio consists of stocks that are neither liquidity constrained nor sensitive to consumer confidence. Third, we track the cumulative returns of these four portfolios over time and plot the results in Figure 6. Several interesting patterns can be discerned from the graph. First, the HH portfolio clearly has the largest cumulative decline in stock prices over time whereas the LL portfolio has the smallest. Second, the cumulative returns lines for the HH and HL portfolios are close to each other at the bottom of the group, whereas those for LL and LH are next to each other, on top of the group. This means, the quantitative effect of liquidity constraint (in explaining cross-firm difference in stock price declines) is much bigger than that of a loss in consumer confidence. Third, if one were to form a mega portfolio at the beginning of August, 2007, that shorts the HH portfolio and longs the LL portfolio, one would have earned a return on the order of 30 percent by the end of March, 2008. We cannot say that the quantitative effect of consumer confidence on the market as a whole is small because it could reduce the stock prices of all firms in a proportional fashion. However, the difference between the HH and LL portfolios in terms of the percentage fall in stock price is approximately half of the unconditional fall in the overall stock price (about 20 percentage points out of 40 percentage points from early August, 2007 to end of March, 2008). A conservative estimate is that at least half of the overall price decline is due to a tightening liquidity constraint (for those stocks that were liquidity constrained to start with). B. Evolving Roles of Liquidity Constraint and Demand Contraction Our primary regressions reported in Table 2 are conducted on the sample period from July 31, 2007 to March 31, 2008. They look into the roles of liquidity constraint and consumer confidence in explaining the cumulative stock price decline during the period. As an alternative, we can trace the roles of these two factors over time by conducting the same regressions over a set of gradually expanding sample period, adding one month each time to the sample, but always controlling for size, book/market ratio, beta, and momentum. Specifically, we perform the first regression on the period of July 31, 2007–August 31, 2007, the second regression on July 31, 2007–September 30, 2007, and so on, until the eighth regression on July 31, 2007–March 31, 2008. The specification is always the same as in Column 3 of Table 2. A major difference between this exercise and the analysis of the four portfolios discussed above is the control for the three Fama-French factors and momentum. Instead of reporting the detailed results of the eight regressions, we summarize the coefficients on the two key regressors, liquidity constraint and demand sensitivity, in Figure 7. While the point estimates (standard errors) for demand sensitivity are 0.33 (0.23), -0.01 (0.34), -0.12 (0.45), -0.38 (0.57), -0.61 (0.65), -2.03 (0.65), -2.65 (0.73), and -2.72 (0.80) respectively; the point estimates for financial constraint are -1.98 (0.62), -0.07 (0.91), -1.22 (1.23), -2.84 (1.54), -4.84 (1.75), -7.55 (1.76), -8.26 (1.98), and -12.50 (2.18), respectively. 16 Several features of the data are worth noting. First, in the first month of the sample (July 31, 2007–August 31, 2007), the coefficient on liquidity constraint is negative, but the coefficient on sensitivity to consumer confidence is zero. By searching news reports, we find that this was the time when the subprime woes started to be thought of as a widespread crisis. American Home Mortgage filed for bankruptcy on August 6. The news broke on August 16 that Countrywide Financial Corporation had to take out an emergency loan of $11 billion to narrowly escape bankruptcy. Financial institutions outside the United States such as BNP Paribas started to reveal large exposure to U.S. subprime losses. A major presidential candidate, Hillary Clinton proposed a bailout fund for homeowners at risk of foreclosure on August 7. Perhaps more significantly, the Federal Reserve Board lowered the discount rate by 50 basis points to 6.25 percent, while President Bush announced a limited bailout of homeowners on August 31, 2007. However, there was only a very modest adjustment in consensus forecast of U.S. GDP growth rate in that month (see Figure 2a). Apparently, while the subprime woes were recognized as a shock to the financial system, it was not widely expected then to have a major negative impact on the U.S. economy. Curiously, during the second sample period (July 31, 2007-September 31, 2007), neither coefficient is different from zero. It is possible that market participants interpreted the actions by the Federal Reserve and the President as being sufficient to prevent a spillover of the crisis from the financial sector to the real economy given what the market participants thought they knew about the extent of the subprime problem. However, bad news did not stop in August. The British bank Northern Rock experienced a bank run in mid-September. Former Federal Reserve Chairman Alan Greenspan joined the fray by declaring that the fall of housing prices were likely going to be “larger than most people expect.” More and more financial institutions started to reveal bad news about exposure to the subprime loan products in September, November, and the first quarter of 2008. The Federal Reserve took a succession of actions including lowering policy interest rates and expanding liquidity provisions over this period. The Federal Government also took several initiatives (for example, the creation of the Hope Now Alliance, the announcement to encourage a voluntary and temporary freeze of mortgage payments, and the attempt to modernize the Federal Housing Authority). At the same time, the market began to reassess the seriousness of the subprime problem and its impact on the real economy. In Figure 7, the market reaction to these developments manifests itself in incrementally more negative coefficients on the key regressors over time. This is shown most clearly in the case of liquidity constraint. The coefficient became -1.2 in October and increased in absolute value steadily month by month, until reaching -12.5 by the end of March, 2008. In relative terms, a loss of consumer confidence was not perceived to be a major factor until December 2007. Even then, the coefficient on sensitivity to consumer confidence was always smaller than that on liquidity constraint in every subsequent sample period, reaching -2.72 by the end of March, 2008. 17 A deterioration of financial constraint faced by non-financial firms in the first quarter of 2008 is consistent with a Senior Loan Officer Survey conducted in April 2008.4 About 55 percent of domestic U.S. banks, up from about 30 percent in the January survey, reported to have tightened lending standards on loans to large and medium-sized (non-financial) firms over the preceding three months. Moreover, about 70 percent of the banks—up from about 45 percent in the January survey—indicated that they had increased the spread of loan rates over their cost of funds. They noted that concerns about their current or expected capital positions had contributed to more stringent lending policies over the preceding three months. To summarize, the realization that liquidity constraints and a contraction of consumer demand could damage the real economy outside the financial sector looks like a gradually unfolding drama. Throughout the sample period, a tightening liquidity constraint, is like a leading actor, always perceived to be more important, while the loss in consumer confidence is a supporting actor in the drama, in terms of explaining cross-firm differences in performance. C. Alternative Measure of Financial Dependence For our story to be persuasive, we have to make sure that the key measure of liquidity constraint is valid and informative. We therefore conduct several additional checks. The Whited-Wu index has been used as a measure of liquidity constraint at the firm level in all the regressions so far. As an alternative, we follow Rajan and Zingales (1998) and adopt a sector-level measure of a firm’s intrinsic demand for external finance. As noted in the data section, the underlying idea behind Rajan and Zingales (1998) is different from Whited-Wu (2006); the simple correlation between the Rajan-Zingales (RZ) index and the Whited-Wu (WW) index is 0.26. This means that the RZ index can potentially provide an informative and independent check on the notion that financial constraint plays a major role in explaining the effect of the subprime crisis on non-financial firms. While the original RZ index was constructed for 40-some sectors at the SIC 2-digit level, we expand it to cover about 400 sectors at the SIC-4-digit level (following the same conceptual framework). In Column 1 of Table 3, we report the regression in which the WW index is replaced by the RZ index. As we can see, both the RZ index and the demand sensitivity index have negative coefficients that are statistically significant at the 1 percent level. In particular, those firms that naturally rely more on external finance for business operation experience a bigger fall in stock prices during the subprime crisis period. An increase in the RZ index by one standard deviation is associated with a bigger decline in stock price by 3 percentage points. 19 the Whited-Wu index are based on their end-of-2006 values.] We ask whether this direct measure of liquidity constraint helps to explain the magnitude of stock price declines during September 10, 2001–September 30, 2001, the period we use to construct the index for demand sensitivity. The results are presented in Table 4. We find that financial constraint is not statistically significant: Varying degrees of liquidity constraint across firms (in 2000) do not explain cross firm differences in stock price reactions after the 9/11 shock. This increases our confidence that the 9/11 index is not likely to be contaminated by firm’s sensitivity to liquidity constraint itself. Our principal claim is that the subprime crisis affects the real sectors in the economy through a combination of a tightening liquidity constraint and a contraction of consumer demand. How do we know these two factors only became important after the subprime trouble began to be recognized as a large-scale crisis in August, 2007? We now conduct a different placebo test, replicating the key regressions in Table 2, but on a sample period prior to the subprime trouble being recognized as a generalized crisis. Table 5 reports these regressions for the period June 30 to July 31, 2007 (firm-level financial constraints are still measured based on end-2006 values of the Whited-Wu index). Neither financial constraint nor demand sensitivity is statistically significant. A lack of statistical significance on the Whited-Wu index suggests that it was not a general predictor of future firm value before August 2007. A lack of statistical significance on the demand sensitivity variable confirms the information in Figures 2a and 2b: As there was no general expectation of a demand contraction, there was no reason as yet then for stocks that were more sensitive to a demand contraction to do worse than other stocks. This also reinforces our confidence that the 9/11 index appears to capture firms’ sensitivity to a change in consumer demand. We replicate the same exercise for an earlier period (January 1, 2007–May 30, 2007), and find the same pattern (of no statistical significance for demand sensitivity or liquidity constraints). This leads us to conclude that the data patterns in Table 2 are really those associated with the subprime crisis period, and not with other factors present in earlier periods. E. Exposures to Exchange Rate and Commodity Price Movement Since the subprime crisis broke out in August 2007, there have been other developments in the economy that could affect stock prices ex post. Most prominently, the U.S. dollar depreciated against the euro and the Japanese yen by 15 percent and 18 percent, respectively, during July 31, 2007–March 31, 2008; the world oil price increased by close to 40 percent during the same period. The dollar depreciation would presumably increase the profit of export-oriented firms but reduce that of those that rely heavily on imported inputs. Similarly, the energy price hike would likely increase the profit of energy producers but reduce that of most other companies. For more details on the S&P commodity spot price indices, see http://www2.goldmansachs.com/services/ securities/products/ sp-gsci-commodity-index/tables.html. 6 From July 31, 07 to March 31, 08, the price of agriculture and energy rose by 36 percent and 29 percent respectively, while the price of metal declined by 0.7 percent. 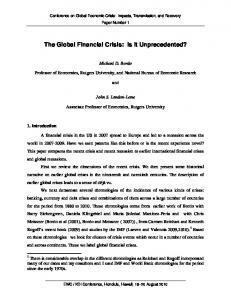 24 financial sector crises, or the spillover effects of a U.S. originated crisis to other economies. We leave these for future research. 25 References Adler, Michael, and Bernard Dumas, 1984, “Exposure to Currency Risk: Definition and Measurement,” Financial Management, 13: 41–50, Summer. Bates, Thomas W., Kathleen M. Kahle, and René M. Stulz, 2007, “Why do U.S. firms hold so much more cash than they used to?” Ohio State University Working paper. Bernanke, Ben S, 2008, Semiannual Monetary Policy Report to the Congress, February 27, 2008. http://www.federalreserve.gov/newsevents/testimony/bernanke20080227a.htm Bernanke, Ben S., and Cara S. Lown, 1991, “The Credit Crunch,” Brookings Papers on Economic Activity, No.2: 205–247. Borensztein, Eduardo, and Jong-Wha Lee, 2002, “Financial Crisis and Credit Crunch in Korea: Evidence from Firm-level Data,” Journal of Monetary Economics, 49: 853–875. Dell’Ariccia, Giovanni, Enrica Detragiache, and Raghuram Rajan, 2008, “The Real Effect of Banking Crises,” Journal of Financial Intermediation, 17: 89–112. Dominguez, Kathryn, and Linda L. Tesar, 2001, "A Reexamination of Exchange Rate Exposure," American Economic Review 91(2): 396–399, May issue. –––––, 2006, "Exchange Rate Exposure," Journal of International Economics 68: 188–218. Erickson, T., and T. M. Whited, 2000, ‘‘Measurement Error and the Relationship Between Investment and q,’’ Journal of Political Economy, 108, 1027–1057. Fama, Eugene F., and Kenneth R. French, 1992, “The Cross-Section of Expected Stock Returns,” Journal of Finance 47, 427–465. 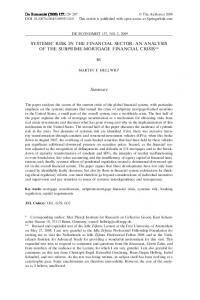 Fazzari, S., R. G. Hubbard, and B. C. Petersen, 1988, ‘‘Financing Constraints and Corporate Investment,’’ Brookings Papers on Economic Activity, 1, 141–195. Greenlaw, David, Jan Hatzius, Anil K Kashyap, Hyun Song Shin, 2008, “Leveraged Losses: Lessons from the Mortgage Market Meltdown,” draft paper prepared for U.S. Monetary Policy Forum Conference Henriques, Diana B (2008), “Unlike Consumers, Companies Are Piling Up Cash”, New York Times, March 4, 2008. Kaplan, S., and L. Zingales, 1997, ‘‘Do Financing Constraints Explain Why Investment is Correlated with Cash Flow?’’ Quarterly Journal of Economics, 112, 169–216. Lamont, O., C. Polk, and J. Saa-Requejo, 2001, ‘‘Financial Constraints and Stock Returns,’’ Review of Financial Studies, 14, 529–544. 26 Lakonishok, J., Shleifer, A. & Vishny, R.W. 1994, “Contrarian investment, extrapolation and risk,” Journal of Finance, vol. 49, pp. 1541–78. Mian, Atif, and Amir Sufi, 2008, “The Consequences of Mortgage Credit Expansion: Evidence from the 2007 Mortgage Default Crisis,” University of Chicago Graduate School of Business Working Paper. Rajan, Raghuram and Luigi Zingales, 1998, “Financial dependence and growth,” American Economic Review 88: 559–586. Reinhart, Carmen, and Kenneth Rogoff, 2008, “Is the 2007 U.S. Sub-Prime Financial Crisis So Different? An International Historical Comparison,” University of Maryland and Harvard University working paper. Whited, Toni, and Guojun Wu, 2006, "Financial Constraints Risk," Review of Financial Studies 19 (2006): 531–559. Table 2. Change in Stock Price during the Subprime Crisis (July 31, 2007 – March 31, 2008) 1 2 3 Demand Sensitivity -3.69*** -3.27*** -3.37*** [0.85] [0.88] [0.87] Financial Constraint-WW -11.67*** -13.72*** -12.35*** [0.82] [2.33] [2.32] Firm size -0.31 0.10 [1.15] [1.14] Book/Market ratio -6.24*** -6.37*** [0.64] [0.63] Beta 3.13** 3.01** [1.25] [1.24] Momentum 0.20*** [0.03] Constant -52.35*** -52.75*** -51.93*** [2.48] [3.13] [3.10] Observations 2761 2410 2410 R-squared 0.07 0.12 0.14 Notes: Standard errors in brackets; ***, **, and * denote p-value less than 1 percent, 5 percent, and 10 percent, respectively. Stock return, financial constraint, and demand sensitivity are winsorized at the 2 percent level. Table 4: Does Liquidity Constraint Explain Changes in Stock Prices During September 10-28, 2001? Date This graph reports a weekly count of news articles containing the words “subprime” and “crisis” in all U.S. newspapers, excluding republished news, recurring pricing and market data. A week is defined as from Sunday to Saturday. The count was 64 for the week of July 29th, 189 for the week of August 5th, and 329 for the week of August 12, 2007, respectively. Source: Factiva. Report "Real Effects of the Subprime Mortgage Crisis: Is it a Demand or a Finance Shock?"